The UK's 1st Christian & Gospel CHRISTMAS Compilation now available! The MissionThe UK's 1st Christian & Gospel CHRISTMAS Compilation now available! The Christmas Collection 2016 includes over 18 Top UK Christian & Gospel Artists from multiple genres including Noel Robinson, Ian Yates, Lurine Cato, LCGC, Guvna B and many more! Our desire is to sell at least 500 albums over the next few days! Co-Executive Producer of the Compilation Album Ryan J. Bruce stated “This is a first for the UK. Never before has there been a Christmas Compilation project exclusively featuring Christian & Gospel Artists from the UK”. He continued “With Christmas being a Christian Festival at it’s core, there’s no way Mainstream Artists should be leading the charge on Projects like this over Christian Artists, and with A Step FWD being such an innovative movement, I was happy to partner with them to work on this exciting release”. With YOUR help, we can make this happen. Please purchase an album online, gift one to a relative or friend and help us to hit that 500 target. Every sale counts! The aim is that for every Christmas Collection album sold £1 will go towards awareness and tackling the growing Homelessness issue in London and the UK. Get the latest updates each month before anyone else about top Christian & Gospel music & artists in the UK. Special feature article on Christian/Gospel artist of your choice. Address Line 1 Address Line 2 Town/City Postcode Country AfghanistanAlbaniaAlgeriaAmerican SamoaAndorraAngolaAnguillaAntarcticaAntigua and/or BarbudaArgentinaArmeniaArubaAustraliaAustriaAzerbaijanBahamasBahrainBangladeshBarbadosBelarusBelgiumBelizeBeninBermudaBhutanBoliviaBosnia and HerzegovinaBotswanaBouvet IslandBrazilBritish lndian Ocean TerritoryBrunei DarussalamBulgariaBurkina FasoBurundiCambodiaCameroonCanadaCape VerdeCayman IslandsCentral African RepublicChadChileChinaChristmas IslandCocos (Keeling) IslandsColombiaComorosCongoCook IslandsCosta RicaCroatiaCubaCyprusCzech RepublicDenmarkDjiboutiDominicaDominican RepublicEast TimorEcuadorEgyptEl SalvadorEquatorial GuineaEritreaEstoniaEthiopiaFalkland Islands (Malvinas)Faroe IslandsFijiFinlandFranceFrance, MetropolitanFrench GuianaFrench PolynesiaFrench Southern TerritoriesGabonGambiaGeorgiaGermanyGhanaGibraltarGreeceGreenlandGrenadaGuadeloupeGuamGuatemalaGuineaGuinea-BissauGuyanaHaitiHeard and Mc Donald IslandsHondurasHong KongHungaryIcelandIndiaIndonesiaIran (Islamic Republic of)IraqIrelandIsraelItalyIvory CoastJamaicaJapanJordanKazakhstanKenyaKiribatiKorea, Democratic People's Republic ofKorea, Republic ofKosovoKuwaitKyrgyzstanLao People's Democratic RepublicLatviaLebanonLesothoLiberiaLibyan Arab JamahiriyaLiechtensteinLithuaniaLuxembourgMacauMacedoniaMadagascarMalawiMalaysiaMaldivesMaliMaltaMarshall IslandsMartiniqueMauritaniaMauritiusMayotteMexicoMicronesia, Federated States ofMoldova, Republic ofMonacoMongoliaMontenegroMontserratMoroccoMozambiqueMyanmarNamibiaNauruNepalNetherlandsNetherlands AntillesNew CaledoniaNew ZealandNicaraguaNigerNigeriaNiueNorfork IslandNorthern Mariana IslandsNorwayOmanPakistanPalauPanamaPapua New GuineaParaguayPeruPhilippinesPitcairnPolandPortugalPuerto RicoQatarReunionRomaniaRussian FederationRwandaSaint Kitts and NevisSaint LuciaSaint Vincent and the GrenadinesSamoaSan MarinoSao Tome and PrincipeSaudi ArabiaSenegalSerbiaSeychellesSierra LeoneSingaporeSlovakiaSloveniaSolomon IslandsSomaliaSouth AfricaSouth Georgia South Sandwich IslandsSpainSri LankaSt. HelenaSt. Pierre and MiquelonSudanSurinameSvalbarn and Jan Mayen IslandsSwazilandSwedenSwitzerlandSyrian Arab RepublicTaiwanTajikistanTanzania, United Republic ofThailandTogoTokelauTongaTrinidad and TobagoTunisiaTurkeyTurkmenistanTurks and Caicos IslandsTuvaluUgandaUkraineUnited Arab EmiratesUnited KingdomUnited States minor outlying islandsUnited States of America (USA)UruguayUzbekistanVanuatuVatican City StateVenezuelaVietnamVirgin Islands (British)Virgin Islands (U.S.)Wallis and Futuna IslandsWestern SaharaYemenYugoslaviaZaireZambiaZimbabwe Home phone Mobile number I consent to aStepFWD sending me marketing emails. 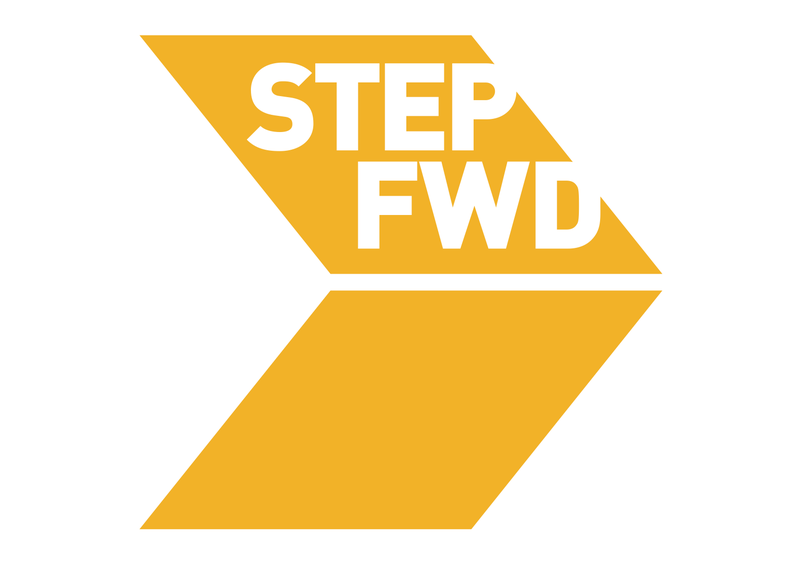 Thank you for supporting aStepFWD! Already credited with so many fresh initiatives including the UK Christian Chart, Music & Media Conference and The Big CONVO, astepfwd.com are fully involved in both recognising and supporting Christian artists from all backgrounds. aStepFWD we are EXCITED to close off the year with Christmas LIVE 2016 on Sunday, 11th December from 6:30pm. Christmas LIVE 2016 brings together #1 artists from the UK Christian Chart 2016 to raise awareness of the Gospel message of love as the Christmas period begins. During Christmas LIVE 2016's performances we intend to make the final push towards hitting our target of 500 sales of our CHRISTMAS Collection 2016 album.